Learn Italian and improve your accent in one of our dedicated courses. Parola Italian language school offers an Italian pronunciation course in Florence, which is taught using digital recordings and handouts for enunciation practice. Our language institute provides foreign students with multiple ways to learn pronunciation and how to speak Italian with a proper accent and rhythm at an affordable price. Pronouncing Italian is not easy and our school’s aim is to help those studying Italian as a Foreign Language have more confidence with Italian language pronunciation. Why And How Pronouncing Properly in Italian? Pronouncing Italian is a difficult task for a non-native speaker but if the Italian language student is provided with practical pronunciation exercises, and followed properly by a language tutor, it is possible to improve the Italian language accent fairly well. With proper practice, the student can learn how to pronounce with the proper language flow, the right cadence and the correct use of the vowels and consonants of Italian. Parola Italian language school works on rhythm and accent of Italian through books and digital recordings at its headquarters in Florence. 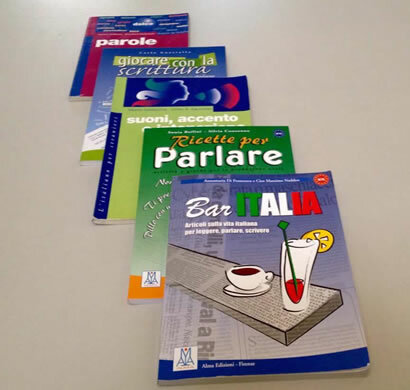 The Italian pronunciation course at Parola school is for those Italian language students who want to improve their language skills to an advanced aural and oral level while doing their Italian studies in Florence. However, it is also arranged for everyone who is interested in getting some important notions of Italian pronunciation for personal use. Our Italian pronunciation course can also be in combination with our group Italian language courses or one-to-one lessons. In case, the student wishes to attend the course as a single package of lessons, the price for our individual lessons of Italian pronunciation is 25 euros per hour. Use of a digital device that will convert the recordings in MP3 (the lesson is entirely recorded for the student), who supposed to rehearse and repeteadly practice the use of the Italian pronunciation. Contact Parola Italian language school to ask for detailed information or to reserve a place for this course. Who Could be Interested in an Italian Pronunciation Course? This dedicated course is particularly recommended to those students who study opera music in Italy, to all students who belong to Study Abroad Exchange Programs in Tuscany and businessmen. Particularly, Erasmus students who are studying for some exams at the University of Florence may find it useful to improve their pronunciation through elements such as rhythm, prosody, sound length of consonants and vowels, Italian expressions and their sounds. What Does a Pronunciation Course Consist Of? This course consists of 2 weeks in which we teach the phonetic rules of Italian pronunciation and we do exercises with the voice: recording and repeating the words and the expressions. This is a dedicated Italian language course, three times a week in the afternoon, usually from 2:00 p.m. to 3:00 p.m. (Total 6 hours for 2 weeks), but it is also possible to arrange the teaching time according to the student’s needs. At the end of one of our Italian pronunciation courses, students will have the language tools to improve the rhythm, the tone, and the intonation of Italian. Our language student will learn how to model Italian expressions, will have his or her fluency and Italian cadence improved. For all the Italian pronunciation course students, there are also 20 optional hours of cultural and recreational activities. These events are part of the school Parola free time activities and are run, in Florence, by Parola Italian language school. For dates and individual Italian lessons of pronunciation, the student schould contact our language school’s secretary. If you wish to start or continue learning Italian at Parola, you can choose among our Italian language courses in Florence. For any further clarification concerning our Italian pronunciation courses, please contact the Italian language school Parola directly. You can also call us at 0039 055 242182.